Below you can find all the partners that we currently have. MinecraftServers.biz is one of the most popular Minecraft Server Lists in the world. It's a great place to add your server to because it will instantly help you get more players. It's completely free to use too! 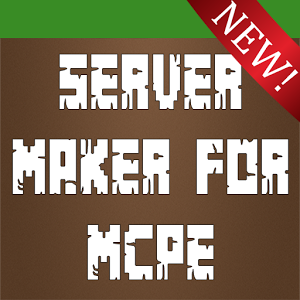 MCPE Server Maker is a mobile app that allows you to easily host a Minecraft: PE Server with the ease of use of a mobile app. It's the perfect alternative to regular hosting services for Minecraft, as it's way more user friendly. DiscordBots.org is a website that allows you to find the best Discord Bots in an easy to use manner. There are over 1000 bots added to the website, and the amount is growing daily. Discord is the #1 chat tool for gamers. The most popular bots are the Music bots.